2021 Race - Can You Qualify? Getting up Heartbreak Hill is hard enough . 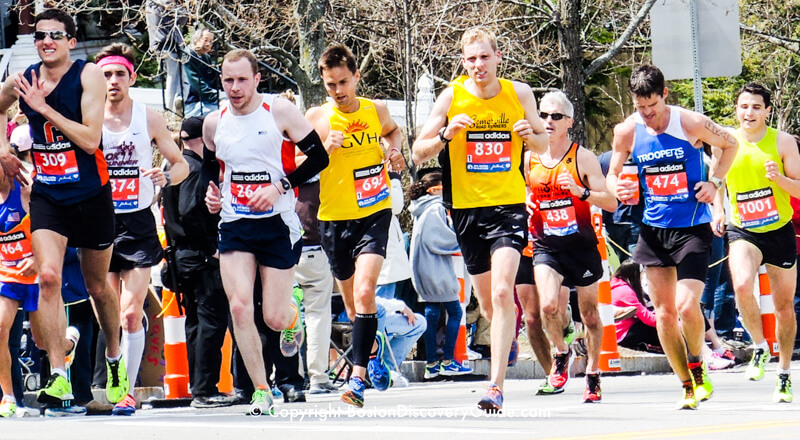 . . but first, you must meet strict Boston Marathon qualifying times to even enter the race. For 2020, qualifying times remain the same as recent years - but that does not mean that meeting the mark will be easy. 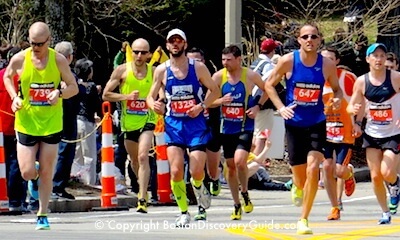 Marathon qualifying times are based on what your age will be on the day when the Boston Marathon in which you want to participate will be held. 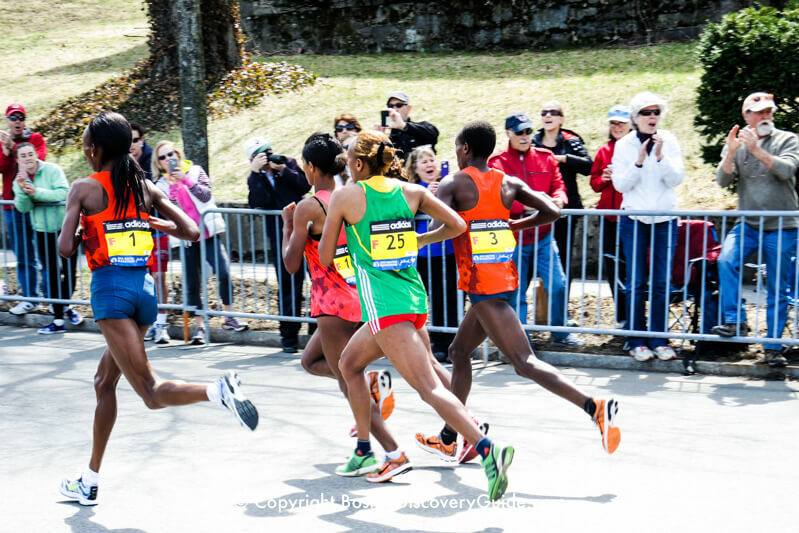 Furthermore, you must achieve the qualifying time on a certified course approved by U.S.A. Track and Field, or the international equivalents designated by the Boston Athletic Association (BAA), which organizes the Boston Marathon. Fastest runners get to register first - so think of these qualifying times as just the first step to getting admitted to this elite race. See the list below to find the exact qualifying times for each class. Can You Qualify for the Boston Marathon? Are you thinking that if 36,000 athletes from all over the world can qualify for the Boston Marathon, you can too? Use the following charts to figure out your chances . . .and see if you need to start a Marathon training program to get into shape. To compete in the Boston Marathon, you must meet the qualification requirements within a period of approximately 19 months prior to the date of the Marathon in which you wish to participate. That means that for the 2021 Marathon, you need to have met these qualifying times on or after September 15, 2019. Registration for the Boston Marathon opens in September prior to the April race. Look for the exact date to be published on the B.A.A. website in May. You can also find requirements for the Blind/Visually Impaired division, and the Mobility Impaired program. 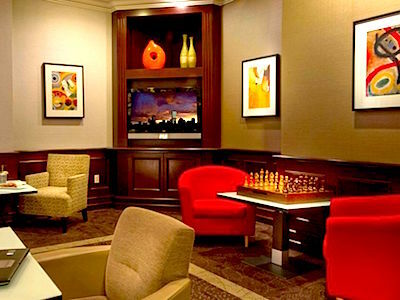 You can also find the date on Boston Discovery Guide's Event Calendar for September. If these qualifying times see a little daunting, get out your running shoes and start your Boston Marathon training program today! Unlike earlier years, an additional 59 seconds will NOT be accepted for qualifying times. For example, a qualifying time of 4:25:59 for a 62 year old woman will NOT be accepted. An additional 59 seconds will NOT be accepted for qualifying times. Example: a qualifying time of 2:25:59 for a 38 year old woman in Open Class will NOT be accepted. Boston Marathon Weather - What weather conditions should you need to train for? 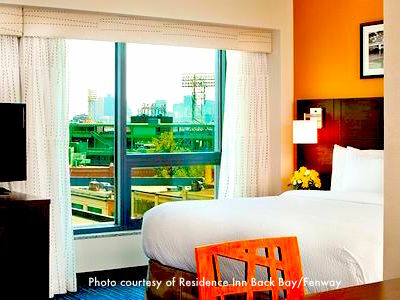 Best RV Camp Near the Boston Marathon - Where to Stay? Boston Marathon Race Day Temperature - What Should We Expect? Boston Marathon Day Transportation Options: Cab or Subway from Back Bay to Brookline? 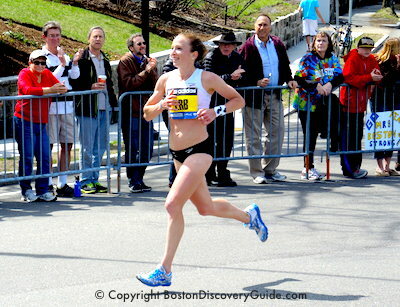 How to Find a Photographer to Photograph a Boston Marathon Runner? Marathon Qualifying Times - Can YOU Qualify?